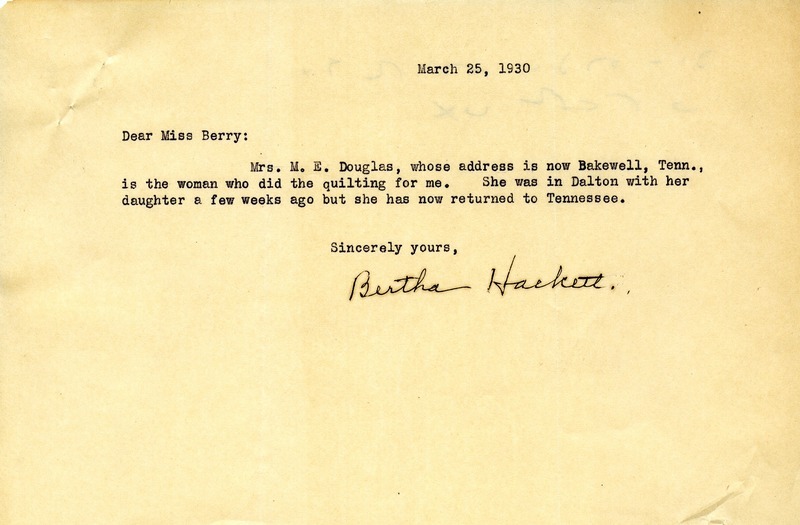 Bertha Hackett lets Martha Berry know who does her quilting. 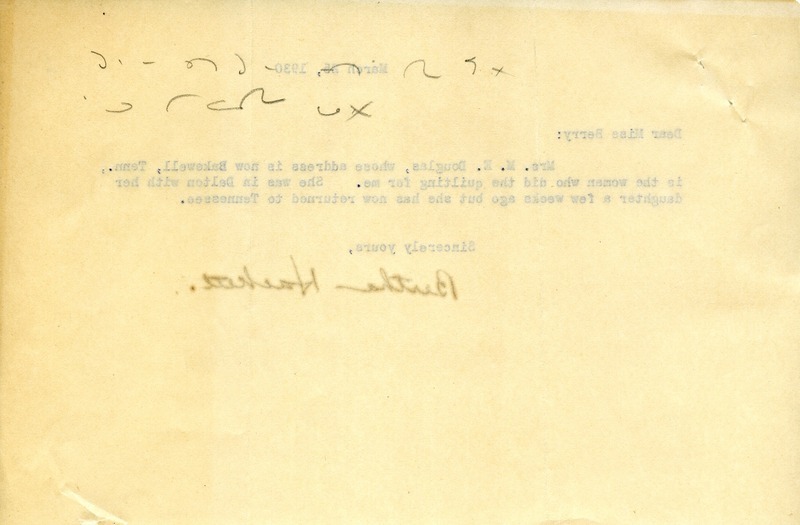 Bertha Hackett, “Letter from Bertha Hackett to Martha Berry.” Martha Berry Digital Archive. Eds. Schlitz, Stephanie A., Angela McCavera, et al. Mount Berry: Berry College, 2013. accessed April 22, 2019, https://mbda.berry.edu/items/show/12370.